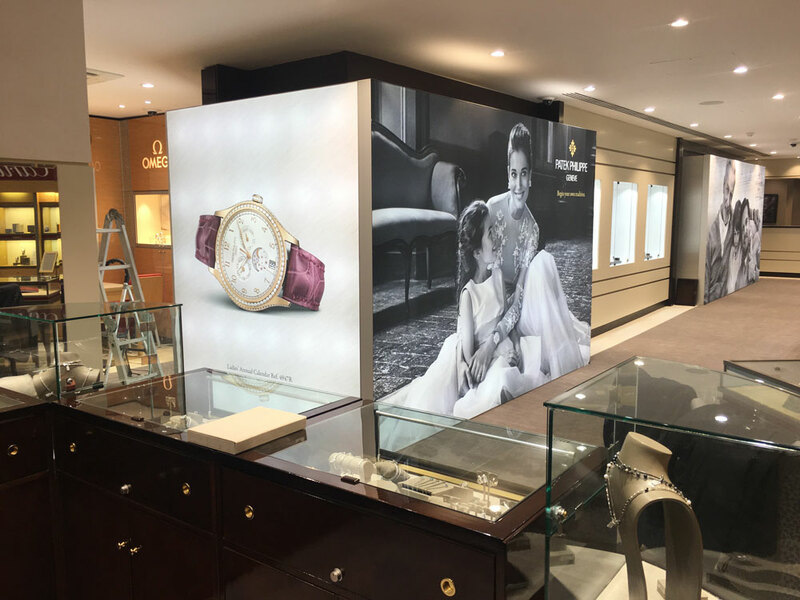 The brief was to turn Lunns shop in Queens Arcade into a showcase for two different events. 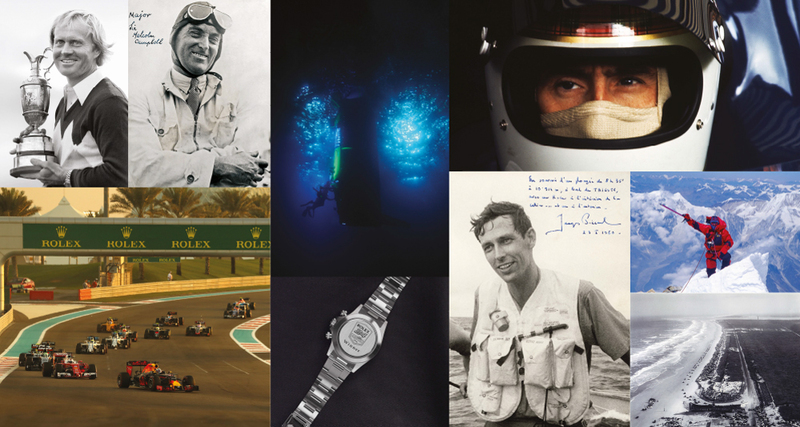 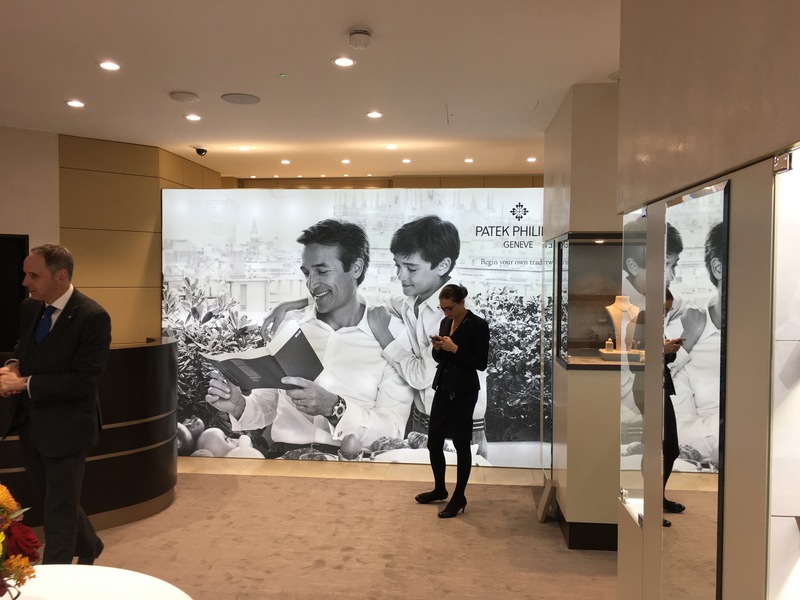 One for Rolex and the other for Patek Philippe. 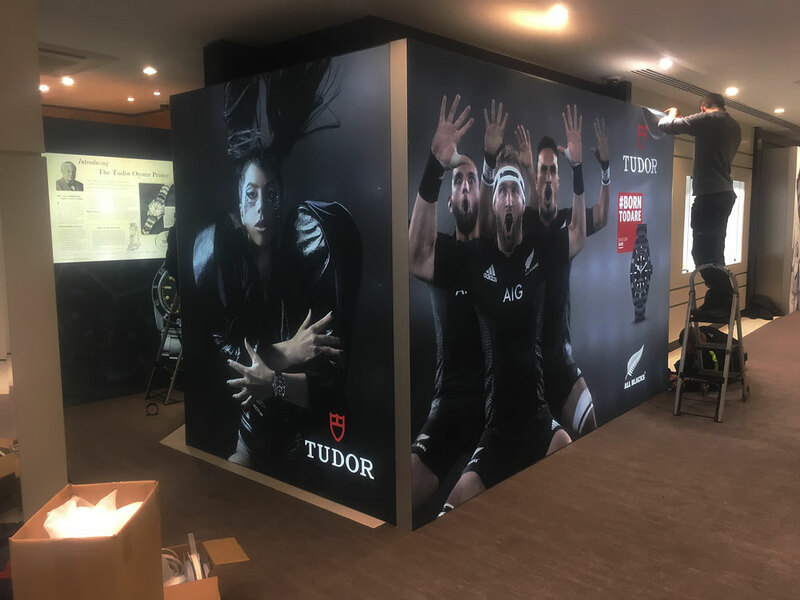 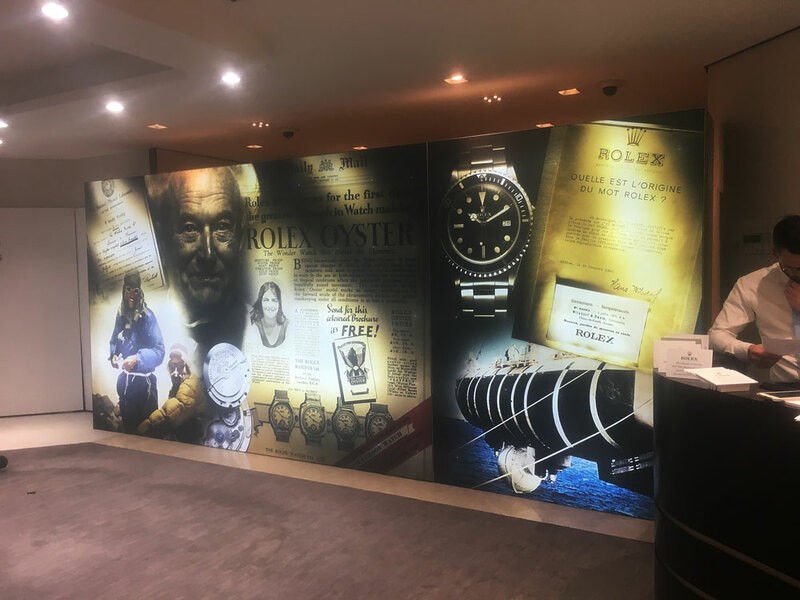 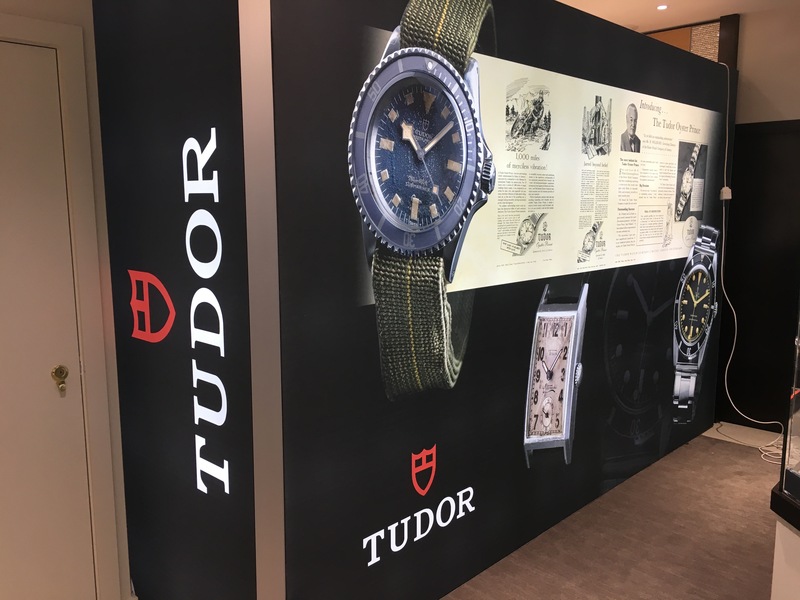 This was produced as 2.4m tall light boxes designed to cover the displays within the showroom and the graphics printed on backlit polyester fabric.